Religious TV Channel / Wei Xin TV is a religious television station based in Nantun District, Taichung. 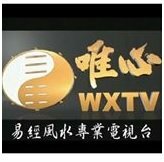 Is the only one in the world to promote the economy by the feng shui and the Chinese culture system as the main axis of the television station. We learn from doing things can be peace of mind; we learn from the health of the heart of peace. We learn to work by doing things can be liked; we learn by adults and children are smart. We learn from the company's customers without bothering; we learn easy to practice on the road visibility. We learn from the family a complete heart; we learn from the national community see peace. Lock the idealism TV station, so that the easy and feng shui into life, realize "know life, turn to life, and then create the true meaning". Idealism TV pledge world peace forever, everyone peace of mind!